As you all know us geeks who love thermodynamics play around with equations of state. I tend to also dabble in energy policy as it relates to one of the largest equations of state and that is the United States. Today I will deal with a smaller but important state in our United States. I will deal with Delaware the First State. Some friends in the first state asked me to review a permit application that Bloom Energy submitted in November of 2011 for a proposed energy center to be built on some farmland in coastal Delaware. I thought the idea of reading a permit application would be tedious and boring but as I have opined on several times in this blog, the Bloom Box is couched in mystery and probably is not capable of performing to the hyped claims that were made on the 60 Minutes episode in February 2010. Therefore I was happy to read a lengthy permit application to determine if Bloom actually did provide in this public document any clues to how their Pandora’s Box operated. For those who want to check, the application was dated November 11, 2011 and is titled the Coastal Zone Permit Application Bloomenergy Diamond State Generation Partners, LLC. Red Lion Energy Center Project. and the second phase an additional 20 MW. Well a second grader knows there are 60 minutes in an hour that SCFM is standard cubic feet per minute and that multiplying 1,282 SCFM at 1030 BTU/SCF will yield 1.32million BTU/minute. Of course at this rate of energy usage the bloom box will be less than 1% efficient so I believe the thermodynamic neophyte who submitted this application meant to state that the Box needs 1,282 standard cubic feet per hour so I will let this basic error pass for now. After reading over a hundred pages of technoblab I found the pearl of information I was looking for on page 161 in Table 1 Offset Of Average PJM Emissions. I found that the Bloom Box emits 884 pounds of carbon dioxide per megawatt hour of power generated. Viola the Green Machine finally had some official data from Bloom in a permit application whereby a sophomore level student of chemical engineering could vector in on the efficiency of the box that has been cloaked in mystery. The US EPA tells us that for each million BTUs of energy used by fueling with natural gas 117 pounds of carbon dioxide are emitted. Viola dividing the 884 by 117 we get the Bloom Box needs 7,555,600 BTUs to generate one megawatt hour of electric power. The actual energy contained in one megawatt hour of electric power is 3,412,141 BTUs. Now dividing the 3,412,141 into 7,555,600 we get the real efficiency of the Box to equal 45.16%. Let’s now return to the claim of 1,282 SCF of natural gas for a moment. Bloom meant to type this quantity per hour, so one may ask is this the real gas usage? Hell no is the answer. We take the 7,555,600 BTU/hr and divide by 1,030 BTU/SCF and get 7,335.9 SCF of natural gas per hour for one megawatt (1,000 kilowatts) of capacity. So for the 200 kilowatt bloom box we will need 7,335.9 multiply by 0.2 which equals 1,467.2 SCFH per bloom box not the 1,282. Ok now we have that the whole permit application is inconsistent on the gas usage versus the actual emissions and the device is 45.16% efficient based on the higher heating value of natural gas. In the application Bloom goes to great lengths to explain how clean the box is and how the folks in Delaware can breathe easily thanks to the 235 boxes doing their stuff. Well the 47 megawatts of Bloom boxes cost what 350 megawatts of combined cycle natural gas power generation will cost. The combined cycle plants are 53.3% efficient on higher heating value using the same fuel of natural gas and for the same investment the Red Lions are proposing can yield 8 times as much clean power for the poor folks in Delaware who are ingesting poisonous air. Wow how much better would the air be in the first state with a far greater substitution of clean power from a more efficient source of generation such as combined cycle that is 8 times as large as the proposed bloom is off the rose station? Now the kicker because of the low efficiency of the Bloom boxes and their high capital costs the citizens of the first state will pay Bloom over $200 per megawatt hour of power delivered into their grid. In January 2012 the US Energy Information Agency reported that the levelized cost of power over 30 years generated from and advanced gas fired combined cycle power station is estimated to cost $65.5 per megawatt hour (source Table 1. Estimated Levelized Cost of New Generation Resources, 2017 EIA report January 23, 2012). So now we get what Bloom is doing to the first staters. They are charging them 3 times as much for dirtier power. This means the marginal cost of avoided carbon dioxide for the Bloom box is actually infinite. This results when a dirtier technology costs more. The Europeans went bust with a carbon cap and trade of about $20 per ton. How fast will Delaware go bust with an infinite carbon tax? 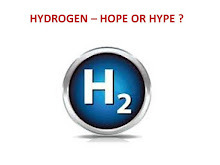 I think it could be a matter of minutes not hours even with natural gas flowing at 1,467.2 standard cubic feet per hour. 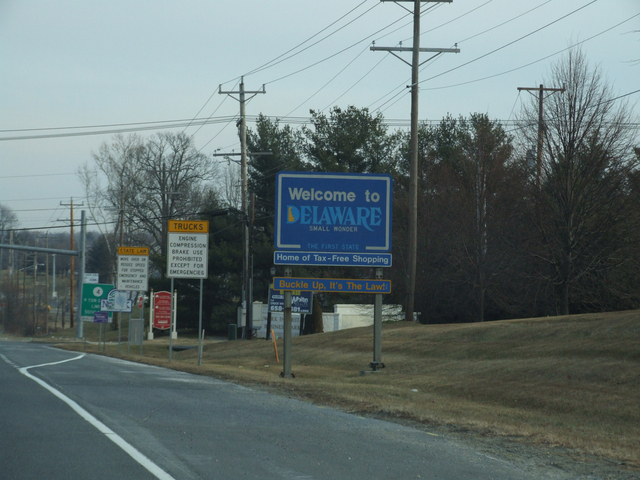 The sign above says welcome to Delaware the first state and small wonder. It also says home of tax free shopping. They should add another line to the sign between tax free shopping and buckle up and that should say “except for electricity”. Of course the pdf file of the application meant to use the following meaning of pdf: Please Delaware Forget that back in 1776 you were the first state to end taxation without representation. I have no doubt that the Vice President of the United States played a role in being a cultivator or perhaps he is just blooming asleep, I have no doubt that the ex Vice President of the United States who now makes a living in a blooming nursery being a green thumb played a role in bringing you this expensive and dirty power, and I have no doubt that the civil servants in the first state had their eyes wide shut when they approved the error filled application without even batting an eyelid at how inefficient, dirty, and expensive the power from the now open Pandora box is. In Big Brother opening the Pandora Box can sometimes get the contestant into trouble. In this case I hope opening this Pandora’s Box actually gets Big Brother into trouble. That one director and major investor of Bloom has the sitting President of the United States over for dinner, that another director of Bloom is the ex Secretary of State of the United States and was the Chairman of the Joint Chiefs of Staff, and that the sitting Vice President of the United States hails from Delaware points to fact that the biggest of brothers can submit pure thermodynamic nonsense in a permit application to a coastal commission to convert farmland to a power station and gain approval for that power plant to nowhere except high prices. Yes approval was given on May 4, 2012. Citizens of the first state and the remaining forty nine states wake up and smell the roses. You are living in and paying for a reality show that makes the house of Kardasians look like fully bright scholars even with the dimmer switch turned on!! 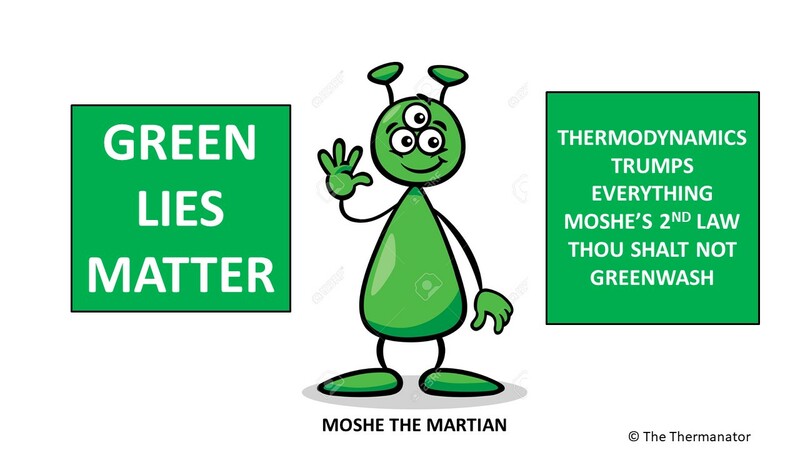 Once again, instead of doing their jobs, the green fashionista movement undermines the science, er thermodynamics. Thanks for posting this, Lindsay and for performing diligence sorting this all out. Indeed, it's been a long time coming for these Bloom Box nuggets. Maybe you'll get another invitation to appear before a congressional subcommittee and school everyone, again? Hi Kim Perhaps Bloom can just resubmit their permit application with proper data and Joe, Al, Col, and Steve can let the first staters decide on the merits of a real application rather than the King's men forcing through the issue. Old Caesar Rodney the Paul Revere of Delaware fought for this and was the first to go all in on the United States in our declaration of independance. Of course in an election year the King does not want to show he has no clothes and particularly he does not want to show he has no bloomers so the whole thing may never see the light of day and the Delaware will not be crossed by the men in Washington who are now feverishly working on enforcing heavy tariffs on Chinese made PV cells to save First Solar who is in large part owned by the Walton family that imports 300 billion dollars worth of goods from China to sell in their big bloom box stores. Perhaps the Dealware river is actually a circular moat?